A project that has long been hidden due to its secure nature has finally been unveiled to the public. 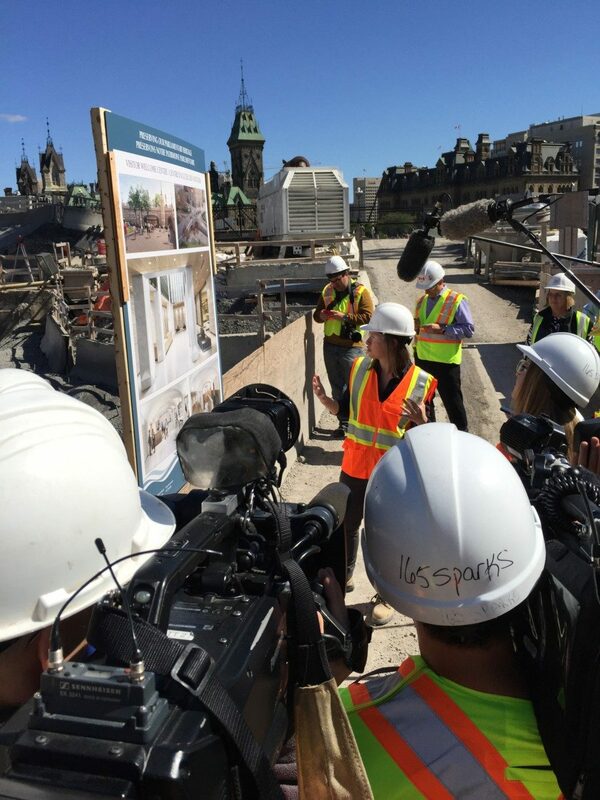 On Thursday September 15th, the media was invited to Parliament Hill to tour the West Block and the Visitor Welcome Centre under construction. Together with IBI Group as Prime Consultant, Moriyama & Teshima Architects have spent the last three years designing the Visitor Welcome Centre — a tremendously challenging building on a highly complex site. Designed to LEED Gold levels of sustainability, the facility has stringent criteria for functionality, security and heritage, with brand new connections to buildings and the landscape that previously did not exist. 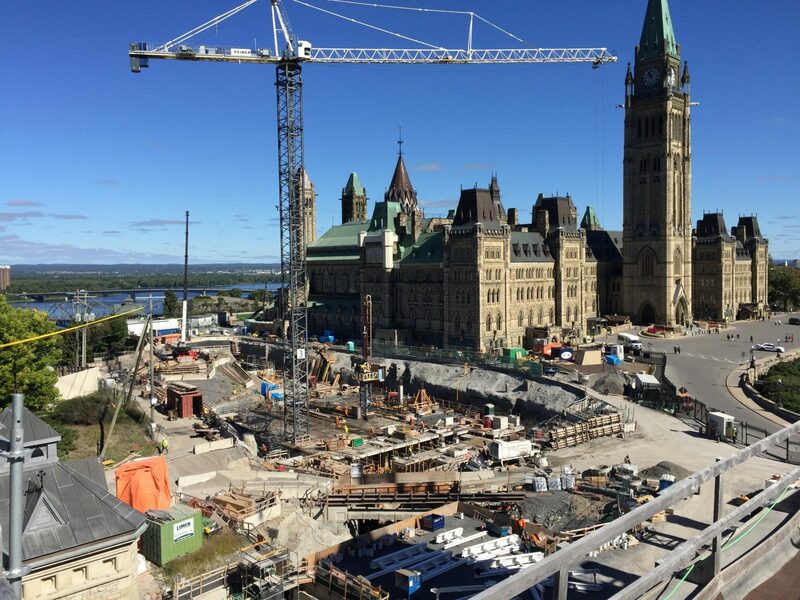 Overlooking the Ottawa River, Phase 1 of the Visitor Welcome Centre is the first new major addition on Parliament Hill in over 75 years and creates the new front door for all visitors to the Parliamentary Precinct. The project, which is scheduled for completion in 2018, will establish a secure public entry to the buildings on Parliament Hill and preserve the integrity and openness of the public green on Canada’s most important heritage site.